Home » Events and Blogs » Blog » Bonfire Burn is Back! We’re excited for our Bonfire Feature Classes to return! Kicking off the fun will be our Bonfire BURN classes with SHAUN! 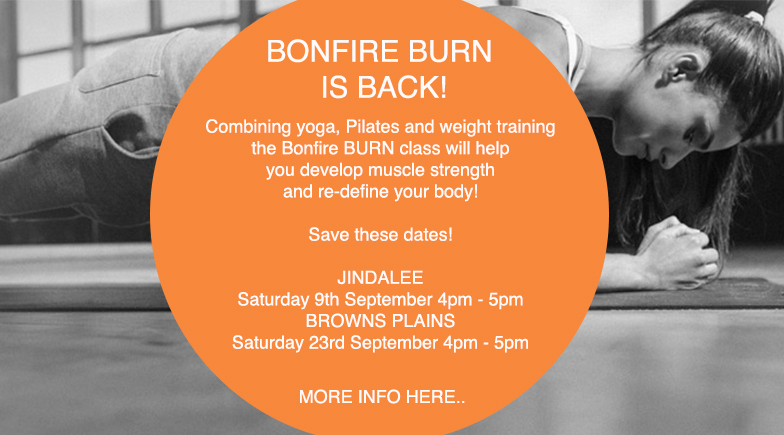 Combining yoga, Pilates and weight training, the Bonfire BURN class will help you develop muscle strength and re-define your body! This style of yoga is suitable for everyone!